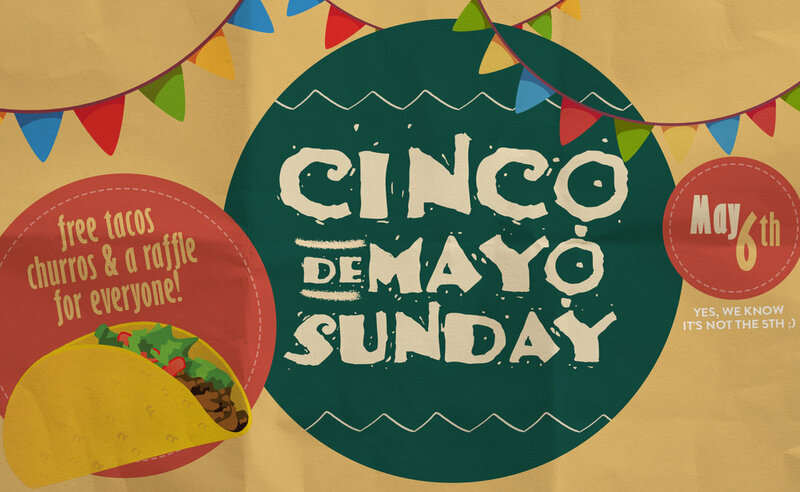 Cinco de Mayo may be May 5th, but that won't stop us from having a great Sunday on May 6th! Join us for a day of fun, food, and friends! We'll have free tacos, churros, and a raffle for everyone. Bring your kids, bring your family, bring yourself and make a new friend!